From the mysteries of Cheddar Man to revolting peasants, from the ribald rhythms of Chaucer to the Glorious Revolution, from the Battle of the Boyne to The Origin of Species to the discovery of DNA, Robert Lacey takes us on a captivating tour of the nation’s landmark moments from prehistory to modern times. 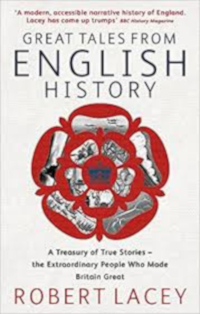 Drawing on the most up-to-date research and packed with insight, humour and fascinating detail, Lacey brings the stories of England’s making brilliantly to life. First published by Little, Brown (UK) in 2005.